Fraunhofer FOKUS presents on the international trade fair IFA in Berlin a cloud-based 360-degree video solution: visitors in Hall 11.1, Stand 3, can explore an all-round video experience that brings high resolution movies close to reality on the Smart-TV and on mobile devices. 360° video is getting more and more relevant. In 360° video the full spherical image of any direction of view is available in every moment while the viewer can freely change her individual perspective of view. But there wasn't a solution for HbbTV yet because the source video material consumes too much bandwidth which results in a considerable processing load for the view projection and rendering. 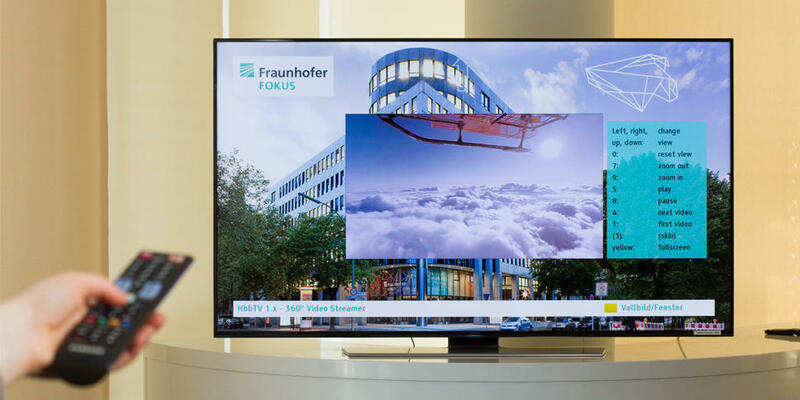 The Fraunhofer FOKUS 360° Video Solution makes viewing 360° video on HbbTV possible by performing the rendering of the individual view at server-side in a cloud based infrastructure. Only the selected view is streamed to the end device, which reduces the bandwidth needed. With the 360° Video Cloud Streaming Solution viewers can watch a high-definition 360 degree video on an HbbTV (Hybrid Broadcast Broadband TV)-TV or mobile device. Because the solution performs the rendering of the individual view on server side there is a low battery drain for mobile devices. The HbbTV Application Toolkit (HAT) is an easy and cost-efficient way for application developer and content creators of broadcasters to produce HbbTV applications for their program. With this toolkit Fraunhofer FOKUS offers templates and components to content creators to create HbbTV applications such as video galleries. Additional plug-ins support Companion Screen and Media Synchronization conforming to the HbbTV 2.0 standard. With the Broadcast Probing System Fraunhofer FOKUS offers a cloud-based system for monitoring digital broadcast networks (DVB-T1/T2/S/C) to detect potential misconfigurations and service degradation in broadcasts. This feedback helps operators to optimize the broadcast operations. With the Open Content Decryption Module (OCDM), a Content Decryption Module (CDM) is accessible as an open source solution on GitHub and compliant to W3C Encrypted Media Extensions (EME) specification. It is used with HTML5 based browser environments and enables DRM interoperability for license retrieval and management for handling and decoding of protected media data. Visit Fraunhofer FOKUS on September 2 – 7, 2016, at the joint-stand of the Fraunhofer-Gesellschaft at Berlin Exhibition Grounds in Hall 11.1, Stand 3. 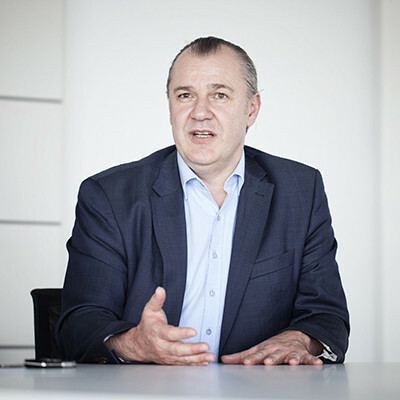 September 5, 2016, 2.25 pm - 3.20 pm, IFA Summit Panel: Prof. Dr. Manfred Hauswirth, Managing Director of Fraunhofer FOKUS, talks about »The Next Level of Mobility and Connectivity« in Session 2 »Smart World«.